Now this sounds like a great idea! 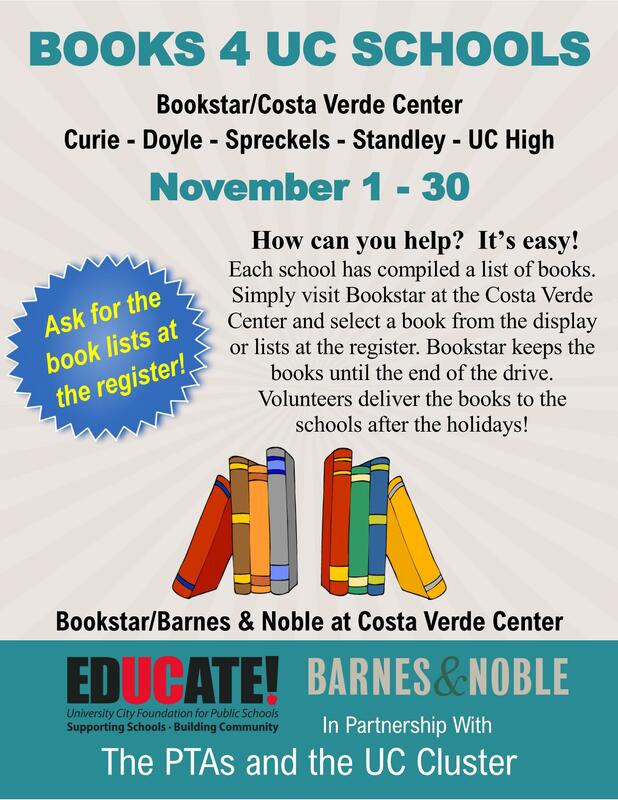 EdUCate is partnering with Bookstar/Barnes & Noble in the Costa Verde Center for a book drive for the five University City Public schools – Curie Elementary, Doyle Elementary, Spreckels Elementary, Standley Middle and University City High Schools. 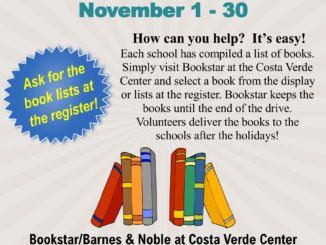 The book drive will run the month of November. 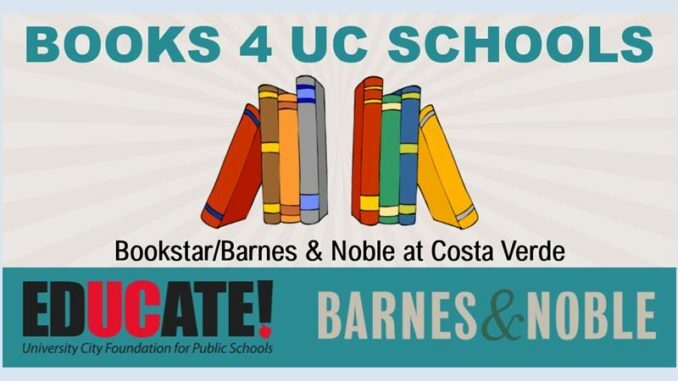 Our most successful book drive was in 2013 when 1100 books were donated to the five schools. Let’s do even better this year! How can you help? It’s easy! Browse the school book display in the store or ask at the register for a list of requested books from one or more of the schools. Select and buy the books you would like to donate. Maybe you will find an old favorite! Bookstar will keep the books until the end of the drive. EdUCate! and volunteers will sort the books after the holidays and distribute them to the schools.